There is hope for those of us battling weight gain and obesity. An article appeared this week in the journal Endocrinology discussing the research of Wanzhu Jin, PhD, of the Chinese Academy of Sciences involving weight loss and reversal of Type I diabetes. Researchers are well aware of the different types of lipid or fat in all mammals. Brown fat or brown adipose tissue has been felt to have protective effects against weight gain, lipid abnormalities and glucose metabolism problems. Dr Jin, used mice that were genetically engineered to be overweight or fat. He injected them with a quantity of Brown Adipose Tissue (BAT) and these mice lost weight and improved their glucose metabolism into the non-diabetic range. The success in weight loss and sugar control was felt to be due to the BAT increasing the energy expenditure of the genetically altered mice. The sugar control occurred through similar mechanisms and was unrelated to the production of insulin or insulin metabolism. Dr Jin’s team of researchers felt that the transplanted brown adipose tissue activated and enhanced the BAT already present in these obese mice allowing it to produce the weight loss and improvement in glucose and lipid metabolism. Their research seemed to hint that brown adipose tissue actually acted as an endocrine gland like the pancreas or adrenal gland or thyroid gland, secreting substances that improved metabolism of obese mice. Dr Jin’s work will provide an incentive for human researchers to look at brown adipose tissue and its modulation and enhancement as a way to control human obesity and diabetic epidemic in the future. Atrial fibrillation is a chaotic heart rhythm seen generally in patients with an enlarged left atrium chamber of the heart and or disease of the heart valves. 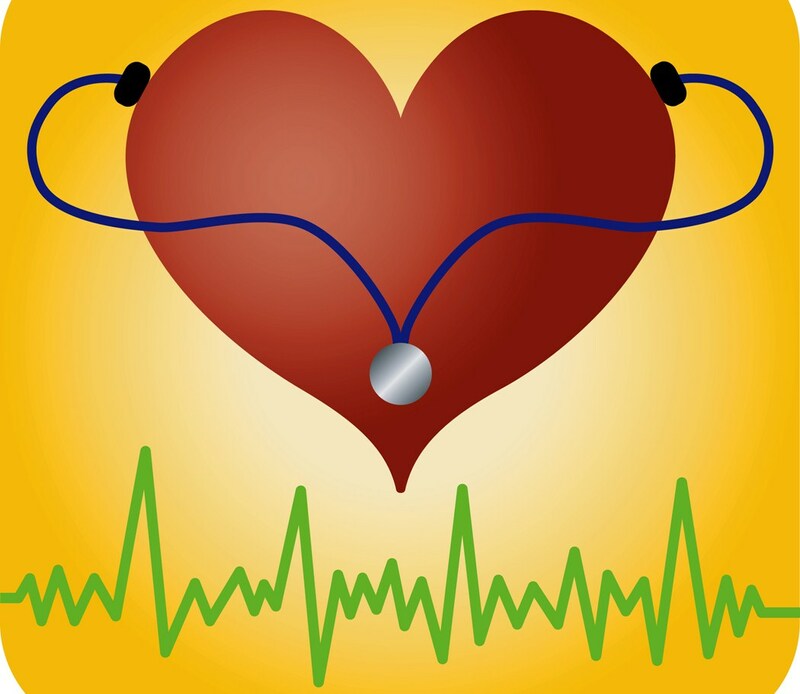 The heart beats irregularly in many cases decreasing the effective pumping ability of the heart muscle. Patients with atrial fibrillation tend to form blood clots in the left heart chambers which are at risk to break off and travel downstream especially to the brain causing embolic strokes. Newly diagnosed patients are placed on anticoagulant medications such as warfarin, dabigatrin, rivaroxaban, or apixaban to prevent these clots from forming in addition to medicines to slow down the heart rate and hopefully shift you back to your normal heart sinus rhythm in time. Other patients are forced to undergo electrical shock cardioversion to re-establish their normal sinus rhythm while others require ablation therapy to do the same. Once these procedures and chemical maneuvers have been successful, and many times they are not, patients are placed on medications to maintain the correct rhythm. At a meeting of the American College of Cardiology, Rajeev K. Pathak, MBBS, of Australia’s Royal Adelaide Hospital, presented data showing patients who went on a diet and lost 10% of their body weight were six times more likely to be free from the arrhythmia without having to use antiarrythmic medication at five years (rate 46% versus 13% with less than a 3% weight loss.) The results were presented at the ACC meeting and published in the Journal of the American College of Cardiology. The study looked at 355 patients who had atrial fibrillation and a body mass index of 27kg/m2 or greater. They were offered a low fat, low carbohydrate weight loss program plus an exercise program at a weight loss clinic. They determined freedom from recurrent atrial fibrillation by using a seven day Holter monitor recording. 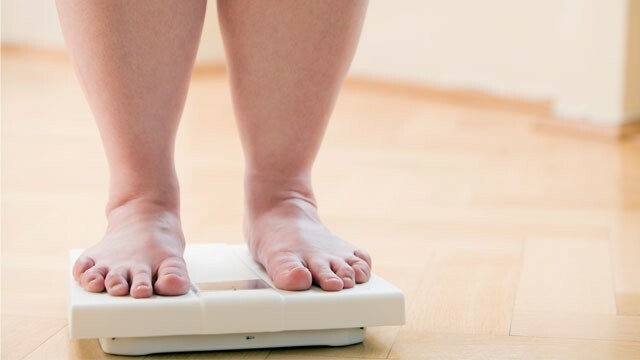 The evaluations showed that those patients who kept the weight off with less than a 2% fluctuation in weight were 85% more likely to not have recurrent atrial fibrillation or require medication use to control their rhythm. Lifestyle modification in the form of weight loss is always preferable to the use of medication and procedures. Bernard Gersh, J. MBChB, DPhil, of the Mayo Clinic in Rochester, Minnesota was adamant in saying, “Bottom line is this is a very simple strategy for people with atrial fibrillation. They must lose weight.” He went on to say that weight loss should be considered and tried before a patient is sent for an ablation procedure. It is important to note that this study is an observational study and did not actually prove that losing weight caused atrial fibrillation to disappear. A further study is underway to prove this point. The article additionally did not specify if the researchers discontinued anticoagulants in the weight loss group no longer exhibiting atrial fibrillation. As we head into the New Year, with our “new” resolutions, those of us inclined to gain weight are always looking for something new to help us along the way. Announcements regarding new weight loss products or services offer us hope which, in turn, encourages discipline and determination. Along those lines, Gary Frost PhD, of Imperial College London, and associates reported in GUT magazine that their newly developed short chain fatty acid propionate powder helps satiety and prevents weight gain. Propionate is normally produced when dietary fiber is digested in the gut. Frost and his researchers produced inulin-propionate ester (IPE) to deliver larger quantities of propionate to the colon than can be obtained by diet alone. They noted that propionate stimulates the release of the appetite suppressing hormone PYY and GLP-1 from colon cells in the test tube. They then randomized 20 participants to a pre-meal dose of their propionate compound or just inulin. They then allowed these participants to eat at a buffet. Those given propionate ate 14 % less than those given inulin alone. They then measured the appetite suppressing hormones in both groups and found them higher in the propionate recipients. This initial study was followed by a study in which 60 overweight patients were given propionate powder (IPE) to put in their food or inulin powder for 24 weeks. Over that time the propionate group had no patient with more than a 5% body weight gain compared to 17% in the inulin group. They then measured abdominal and liver fat and found that the propionate group had far less. These are initial works with the authors seeing the potential of adding propionate powder to fattening foods. More research is needed but hope springs eternal. They were all placed on a caloric restricted diet. The results of the study showed that the only thing that mattered in weight loss was whether your intake of calories was less than calories used during the day. The time of day we first eat had no effect on weight loss in this study. Dr. Dhurandhar reasoned that none of us actually skip breakfast since our first meal of the day after a prolonged overnight fast is still breakfast. The study only looked at weight loss related to skipping or eating breakfast. It did not answer the other age old dietary question of whether eating a large calorie amount late at night and then retiring affects your weight. For those of you who enjoy sleeping in, this is excellent news. 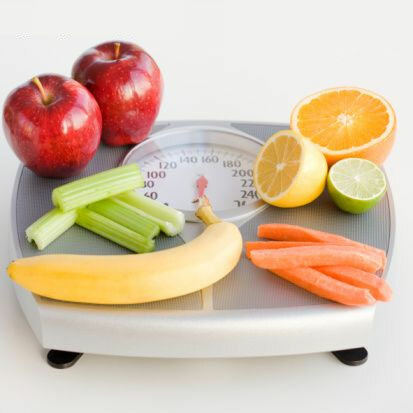 A joint survey was conducted by the online medical news service MedPage Today, Everyday Health and The Daily Meal to evaluate physicians’ methods of treating obesity. They surveyed almost 1000 providers and found that the newer drugs such as Qsymia (phentermine/topiramate) are only being used by about 6% and Belviq (lorcaserin) in only 3.3%. Several of the survey respondents cited the high cost of the medications as barriers to use. One provider noted that “middle class (patients) and below cannot afford “these medications so he prescribes generic phentermine 37.5 mg one half tablet each morning with generic topiramate 25 mg twice a day with similar effectiveness. Fat absorption blockers such as orlistat in it’s over the counter form “Alli” or its prescription form xenical were popular with over 20 % of respondents using those products. Generic phentermine was used alone by 16%. Other medications frequently mentioned included metformin the diabetic drug, and victoza another diabetic drug not yet approved for weight loss therapy. The majority of the respondents prescribe diet and exercise to begin with. Weight Watchers is their favorite commercial diet with over 75% of those surveyed noting that it works steadily and safely. The South Beach Diet was the clear runner up. When the Atkins Diet was mentioned there was concern and controversy. 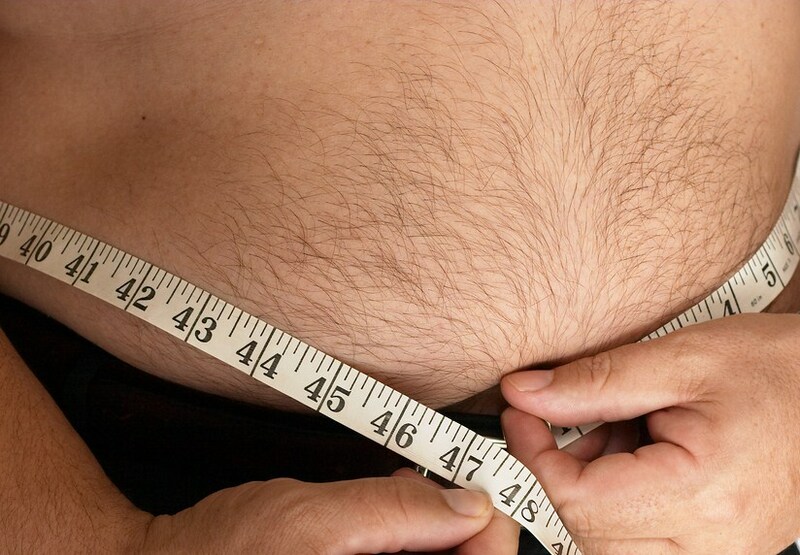 In our local clinical practice we are asked frequently about medication to lose weight. The survey did not look at the average age of the patients the respondents treated and their associated medical issues. Locally we have many elderly individuals using multiple medications for heart disease, elevated lipids, diabetes, heart rhythm control and other complex problems. 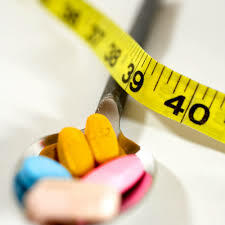 It is much more difficult to find any oral medications for weight loss that do not adversely react with their prescribed medicines or that are not contraindicated due to their underlying medical problems. Do We Overeat Because We Are Fat or Are We Fat Because We Overeat? In the Journal of the American Medical Association (JAMA) Drs. David S. Ludwig and Mark I. Friedman present their point of view that the more fat cells you have and the fatter they are the hungrier you get. They believe we all have a genetic set point for an ideal body weight and intake and use of calories or fuel to maintain that genetically set weight. They believe that in recent years the set point in many of us has been raised leading to the current obesity crisis. Their ideas are discussed in the NY Times Sunday Review Sunday May 18, 2014. Drs. Ludwig and Friedman believe that when energy is stored as fat , there is less energy available to the other functioning body parts obtaining fuel through nutrients in the blood stream and this leads to increased hunger. They attribute the re-setting of the set point to the introduction of refined sugars or carbohydrates into processed and produced foods to replace fats that had previously done the filler job. This was done in the mistaken attempt to reduce heart disease and vascular disease. They also believe caloric restriction diets do not work. If they are successful in very disciplined individuals the success is very short lived. They go on to say that in fat individuals who eat more to get more fuel to the cells they actually start to gain weight. If they cut back on calories their metabolism actually slows down aggravating the situation. Drs. Ludwig and Friedman are great believers in low glycemic and low carbohydrate foods and diets. They cite a recent study published in JAMA in which 21 overweight and obese young adults were fed either a low carbohydrate or low fat diet. Their intake and activity level were similar. They found that those on the low carbohydrate program burned up about 325 more calories per day than those on a low fat diet. Dr. Ludwig published an animal study using rats in which those fat a rapidly digestible carbohydrate diet (high glycemic index) and far fewer calories gained far more weight than rats fed a low glycemic index diet with carbohydrates that took a long time to digest. The low glycemic index foods are the heart and soul of the meal replacement Take Shape for Life program developed by Medifast. As we move towards the summer months and bathing suit weather the interest in healthy weight loss and sustained weight loss increases. We are currently offering the Take Shape for Life program in the office and I am a certified TSFL coach. Call us and set up an appointment if you are interested.